We all make mistakes, but some mistakes carry greater consequences than others. Unfortunately, making certain mistakes when it comes to planning for your retirement can have dire consequences on your future, particularly as you get closer and closer to your desired retirement age. So in an effort to get your retirement planning (or lack thereof) into tip-top shape, here are six common mistakes people make with retirement planning that you should avoid. If you are fortunate enough to work for an employer that offers a 401k or other retirement plan with a match program, take advantage of it! 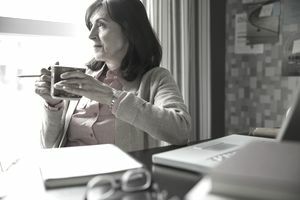 Once you have vested in the plan (that is, once you have worked at the company long enough to have an absolute right to any portion of the account value that your employer has contributed on your behalf), that employer match money is yours, but only if you have been contributing to the plan yourself. What it comes down to is that an employer match is free money and the best return on your dollar that you’ll likely find. For instance, if your employer matches dollar for dollar up to 3% of your salary, then you should be contributing at least 3% of every paycheck into the plan. By doing so, you effectively save 6% of your salary every year but only miss out on 3%. By not maximizing your employer’s match is leaving money on the table that could be used to fund the financial security and lifestyle you want in retirement. Too many people treat their employer retirement plan like a savings account if the plan allows for loans, which is a common feature. Borrowing money from your retirement savings can be a costly mistake. When you pay the money back, the money you took out in the first place lost the opportunity grow and compound. When you understand the powerful effects of compounding interest, you should also recognize the opportunity costs of disrupting the process. While you may pay yourself back the interest, it generally doesn’t make up for the time lost. Another risk you take when taking a loan from your retirement plan arises if you leave your job before repaying the loan. In some cases, the loan may then count as a distribution if not paid off in full, which means paying taxes and possibly a stiff early withdrawal penalty. The old saying goes, "don’t put all of your eggs in one basket." It is sound advice, and almost directly applicable to your approach to your investment portfolio, but people often don’t follow it. It is easy to get caught up in your investments when the market is doing well, and chasing those big returns may seem like a good idea. Better returns equal better nest egg. But without proper diversification, you are subjecting yourself to significantly higher risk with only a potential for better returns. A lack of proper diversification is particularly prevalent among those investors who receive employer stock as a portion of their benefits or compensation. Though there are general rules surrounding when and how much of your employer stock you can sell at a given time, it is generally bad practice to hold on to every share allowing it to become a greater and greater portion of your total investment portfolio. In the end, a properly diversified portfolio will help you minimize your risk while maximizing your return. While diversifying your investment portfolio is important, it doesn’t do much good if you don’t regularly rebalance your portfolio as well. Over time, a portfolio that began as 50% stocks and 50% bonds probably won’t be the same a few years or even months down the line. If stocks experience a period of significant growth, the stock portion of your portfolio will grow while your bond holdings may only grow slightly. This disparity could turn your portfolio into a 70% mix of stocks and 30% bonds, which is fine is that mix is appropriate for your age and risk tolerance, but if a 50/50 balance is what's appropriate, this portfolio would now be significantly more risky than it should be. When you leave an employer with whom you held a retirement account, you have several choices regarding what to do with your account. First, you can leave it in the plan, which is not a horrible choice if you do not have another retirement account (such as an IRA) to which you can roll the funds. Second, do a trustee to trustee transfer (also known as an IRA rollover) to another qualified retirement account like an IRA or your new employer's plan. Third, you can cash out. This is where the mistakes begin. Many people decide to cash out their employer retirement plan when they leave the company. Some cash out with the intention to reinvest the money into another account, but there is one enormous difference between cashing out and rolling over. When you cash out of a retirement plan before the age of 59½, you are not only subject to income taxes on the entire value, but also to a hefty early withdrawal penalty. This can be a pricey move. For some people, this means nearly cutting the account value in half! When you initiate a trustee-to-trustee transfer, on the other hand, you can roll over the entire account value into another qualified account without paying any taxes or fees. So when you leave an employer, you should ideally consider rolling the money over into an IRA. This not only eliminates any current taxes or penalties, but it also opens up your investment opportunities (401k plans generally have limited investment options) and likely significantly decreases the investment fees (401k plans tend to have high fees). Retirement planning is full of questions. “How much money do I need to save?” “How much money do I need in retirement?” “What investments are right for me?” While retirement planning is full of important choices to make, don’t allow yourself to be overwhelmed into inaction. Avoidance and inaction are perhaps the biggest mistakes you can make when planning for your retirement. So take things one step at a time. Since time (and its friend compounding interest) is your most valuable asset, the most important thing to do is just to start saving and investing into a retirement account, whether it be an employer plan or an IRA. Then, as your nest egg grows and you get closer to retirement, consider working with a fee-based Certified Financial Planner (CFP) to discuss your retirement plan and the options that are best for you.